* Mariell's 1 3/8" h x 1/2" w drop earrings have 5 Ct.
* Round Cubic Zirconia with faux marcasite micro pave French wire tops. * Brides, bridesmaids, mothers of the brides & prom girls adore the bling of this vintage jewelry with modern glam at a super price! * If something looks good too to be true, it usually means it IS too good to be true. * But not in this case. * Mariell's popular dazzling 5 Carat Cubic Zirconia drop earrings have that fiery look of top quality diamonds at a price that will have you stocking up your store's showcase! 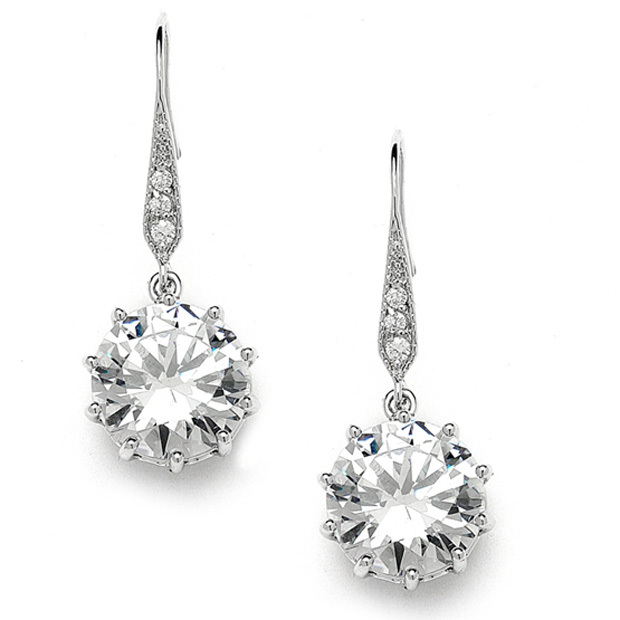 * These great earrings blend Vintage style micro pave French Wires with the modern bling of 5 Carat faux "diamonds"! * We offer a matching pendant style 4083N also available at a great wholesale price!